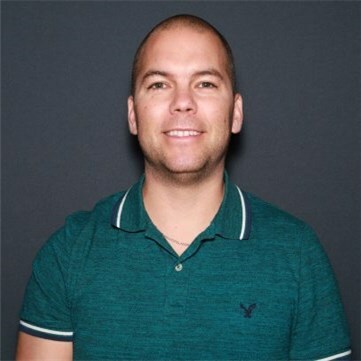 Last January, Microsoft released an update for Intune standalone environment in which you can import international mobile equipment identity (IMEI) numbers for mobile device platforms that have an IMEI number to help identify corporate-owned mobile devices. 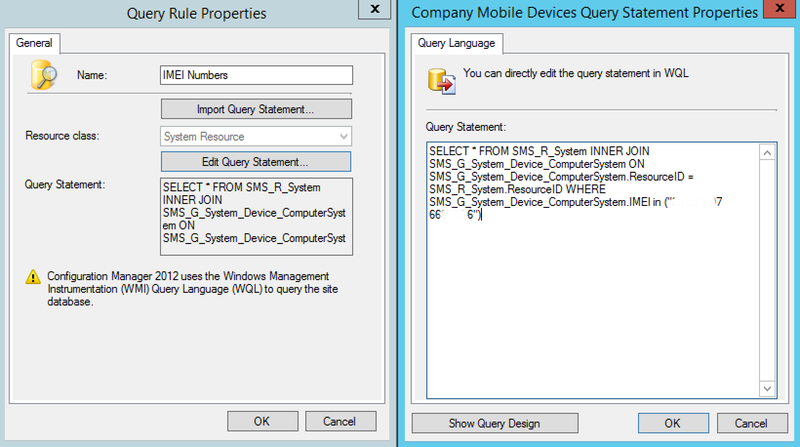 Once enrolled in Intune, devices with imported IMEI numbers are tagged as Corporate, which can be used for applying policies that are different than those applied to Personal devices. What happens if you use an Intune hybrid environment? SCCM has no built in tool to add a list of IMEI numbers and switch device owners from Personal to Company when devices are enrolled. 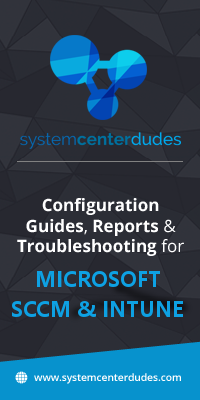 In this post, we will configure SCCM to identify devices based on a list of IMEI numbers and change their ownership from Personal to Company. Before starting, you can read the difference between both ownership attributes. The first step is to extract all IMEI numbers of your corporate-owned devices. 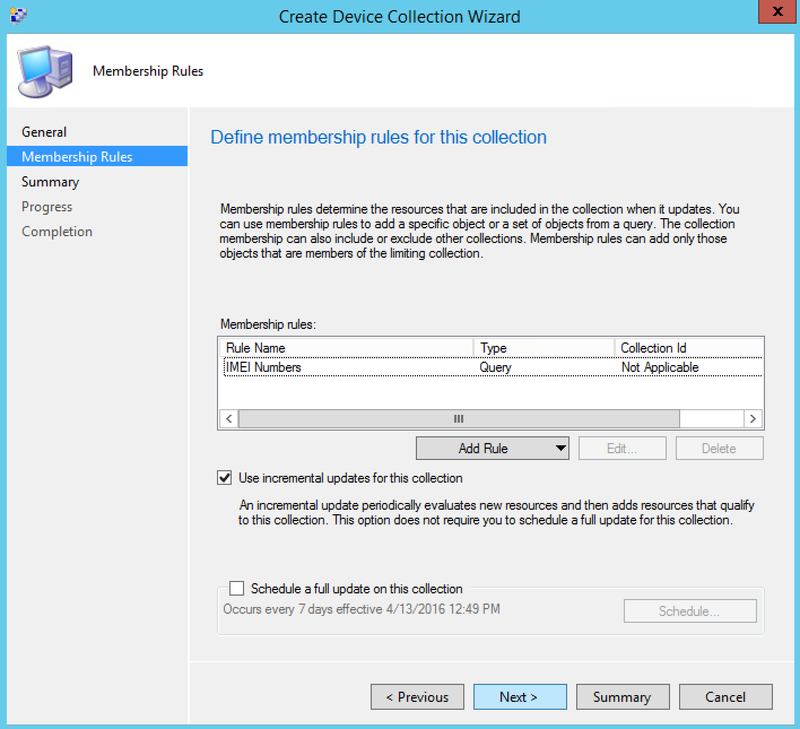 The idea is to create a list of IMEI numbers and use it to create membership rules for a devices collections in SCCM. 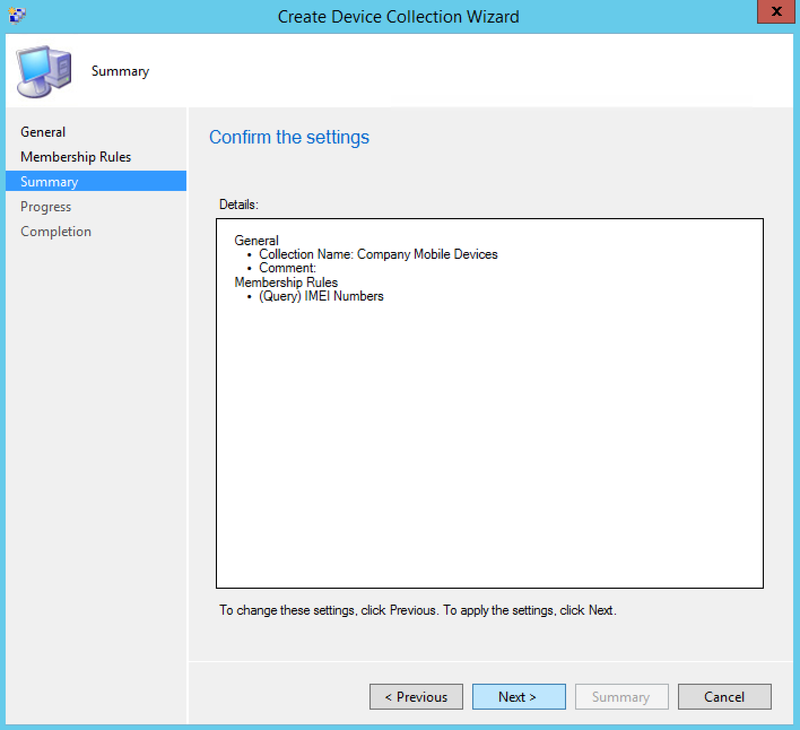 The IMEI number of iOS mobile devices is displayed differently of Android devices in SCCM. Make sure you have the correct format otherwise your collection will not work correctly. You are now ready to create the device collection based on your IMEI number list. 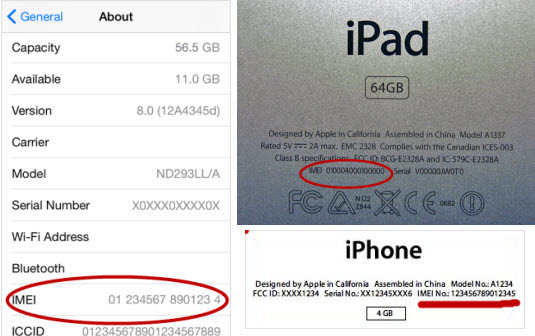 The devices that matches the IMEI number provided in the query will start to populate the collection. Take note that this collection won’t change the attribute device ownership from Personal to Company. However you will be able to apply specific policies or deploy applications to these devices. Each enrolled devices in Microsoft Intune are automatically tagged as Personal, this is by design. The only situation where you will see your devices tagged as Company, is by using DEP program from Apple. 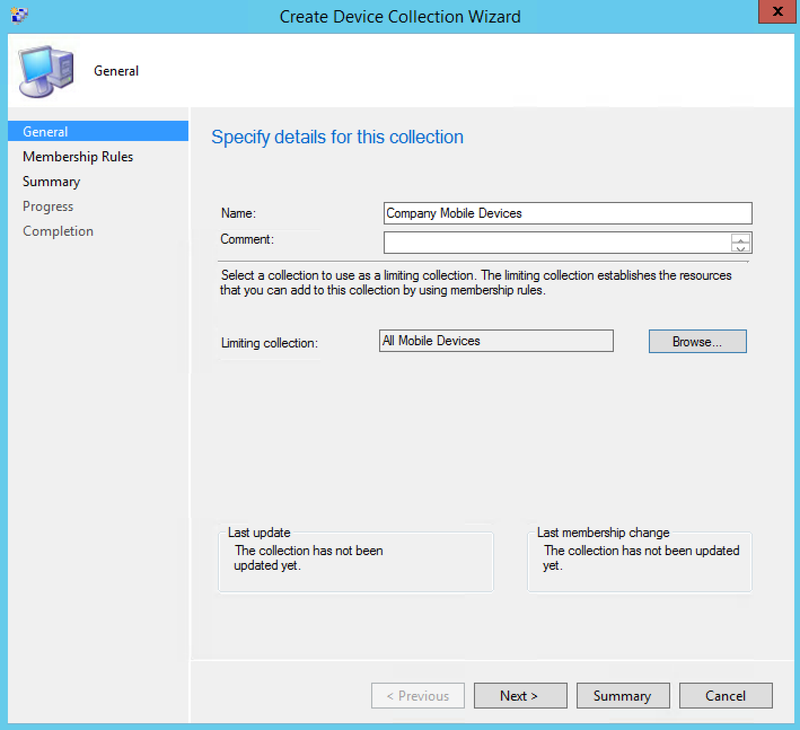 Use the collection you just created in conjunction with one of the following method to change the attribute of your devices from Personal to Company. The 3 ways are appropriate depending on the amount of mobile devices you manage. If your management team ask you to list all Company mobile devices, you can use our mobile devices inventory report and using search parameter Company. 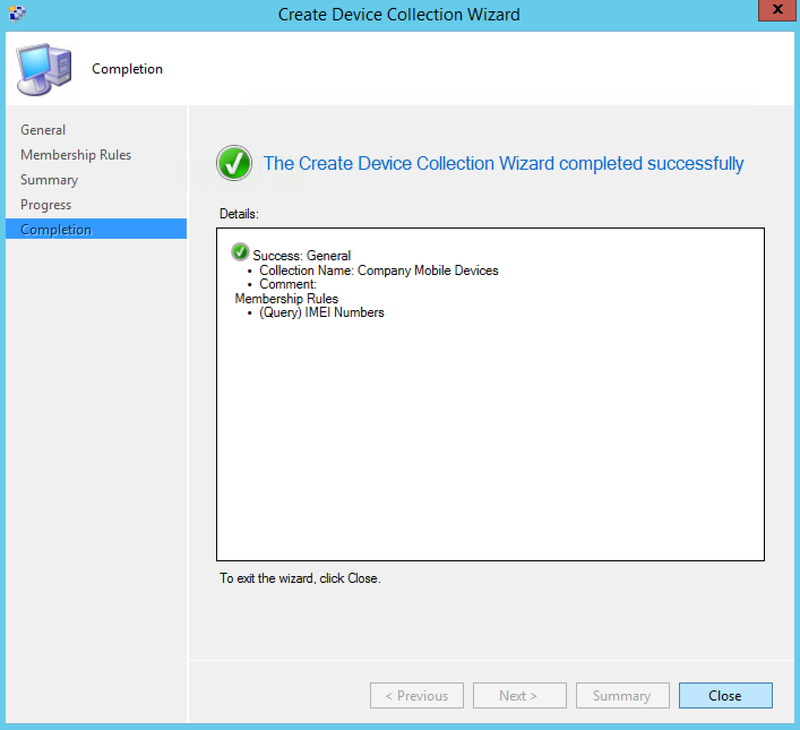 Take a look to our Mobile Device Management Guide for more details about Microsoft Intune.